We are solving series of problems on the concept of work, energy and power. Here in this post we are going to solve few problems on power and it is the ability of doing the work in specified time. Though work is done or energy is used in each case how quick we are in doing the work is measured with the term power. 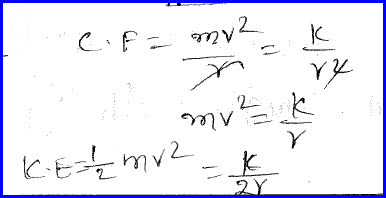 It is measured with a unit watt and it is a scalar quantity. 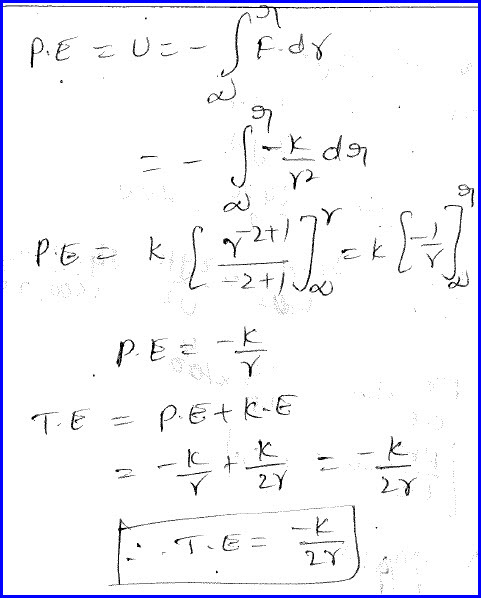 Power can also be expressed as the dot product of force and velocity. It is given in the problem that input power of an electric motor is 200 kilowatt and its efficiency is eighty percent. It operates a crane of efficiency ninety percent. If the crane is used to lift a load of known mass, we need to measure the speed of that mass. Problem is as shown in the diagram below. As there two efficiecies are involved in this case their effective value has to be measured as shown in the diagram below. Further using the concept of efficiency is the ratio of power output to the power input, we can measure the required output power in the problem as shown in the diagram below. 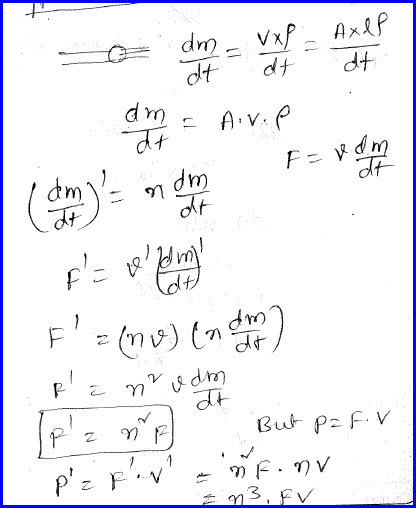 Further this power can be defined as the dot product of force and velocity. Here force is nothing but the weight of the system. 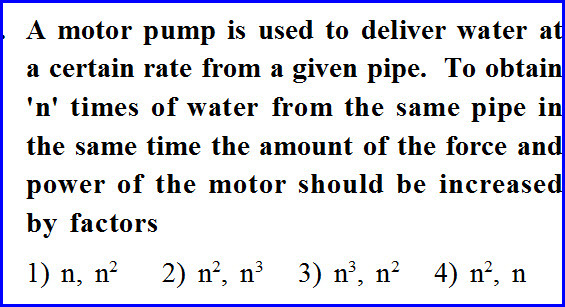 It is given in the problem that a motor pump is used to deliver water at a certain rate in a water pipe. We need to increase the water to a certain times and we need to measure how much of force and power of the motor has to be increased to get this done. Problem is as shown in the diagram below. We can express mass as the product of volume and density and volume can be further expressed as the product of area of cross section to the length of the pipe. Further rate of water flow is written by dividing that equation with time. It is further simplified and solved as shown below. 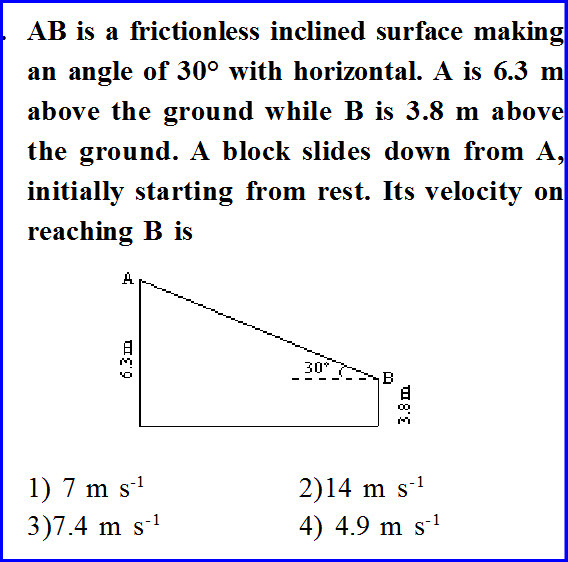 It is given in the problem that there is a friction less inclined surface and their location from the earth is given to us as shown below. 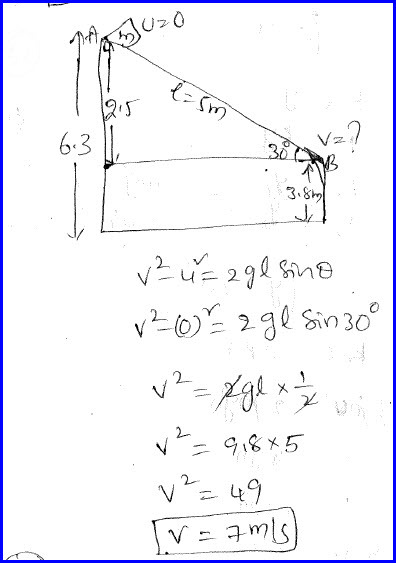 The block stated from the state of rest and we need to know the velocity acquired by the body as it has reached the bottom part. 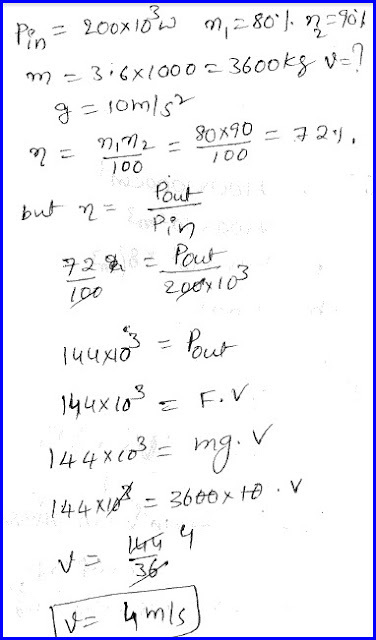 We know that both the points of the problem are at a certain height from the ground and there they possess potential energy due to their position. As it has reached the bottom there is a loss of potential energy and that energy is converted into kinetic energy. Thus by applying law of conservation of energy, we can solve the problem as shown in the diagram below. 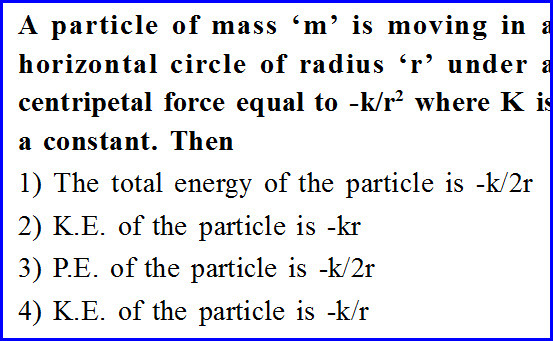 A particle of mass m is moving in a horizontal circle of known radius under the influence of centripetal force and its value is given to us. Then we need to measure the total energy of the system. We know the concept of centripetal force as the effective force acting towards the center of a circular motion. Basing on that we can measure the kinetic energy of the body as shown in the diagram below. We can also find its potential energy energy using integration concept as shown below. We can also find the total energy as the sum of potential and kinetic energies as shown in the diagram below.